FX Fischer mod indicator (25 period set signal true). The box start at 2:00 GMT and the end is 7:45 GMT. Because the candle at 8:00 GMT ( London Open) must be the first candle outside the red box. FX Fischer mod indicator (25 period ) is green. 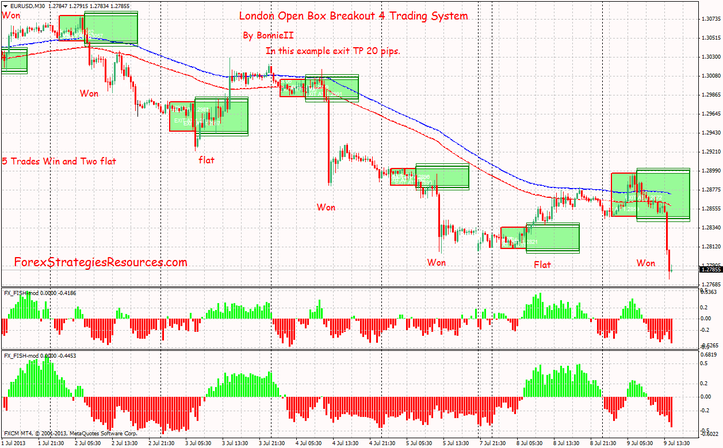 Place a pending order +2 pips above the Breakout Box 4 London Open. FX Fischer mod indicator (25 period ) is red. Exit Strategy in a breakout intraday system is the most important aspect. Target profit is 20-25 pips. Place Initial Stop loss 20 pips, but when you have 12-15 pips in profit move stop loss to breakeven. After open position Insert a Trailng Stop of 25 pips and close the position at end of Day or with a profit target of 40-50 pips. This Trading System is also good for trading with Binary Options Strategies. 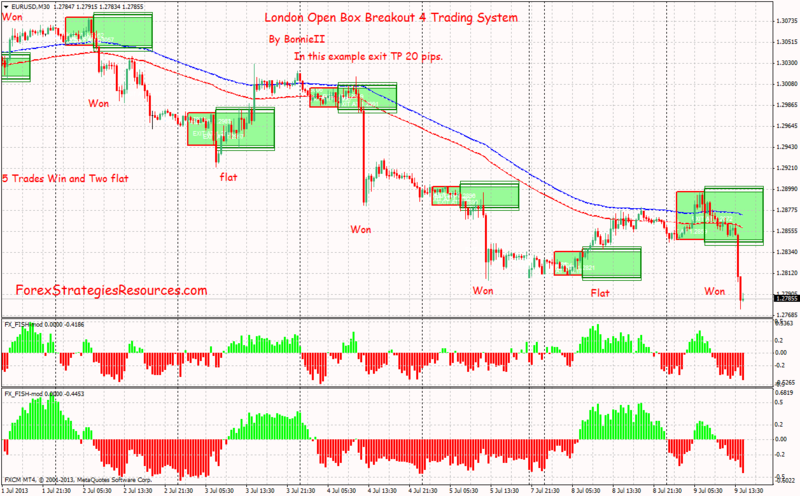 london open box breakout trading system.